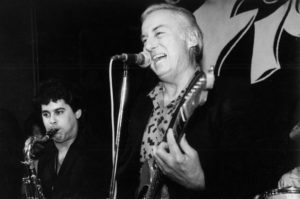 Albert “Sonny” Burgess, who was an early pioneer of what became known as rockabilly music, has died in his native Arkansas. The Dillinger Funeral Home in Newport says Burgess died Friday (Aug. 18) in Little Rock. He was 88. Burgess was among a group of singers in the mid-1950s who mixed rhythm and blues with country and western music. The sound became known as rockabilly and included Elvis Presley, Johnny Cash and Jerry Lee Lewis.